 M. REYNDERS, « Names and Types of the Egyptian Sistrum », W. Clarysse, A. Schoors, H. Willems (éd. ), Egyptian Religion. The Last Thousand Years, OLA 85, 1998, p. 1013-1026 1 citation(s).